NOW GTF Chromium is a biologically active form of chelated Chromium known as Chromium Chelavite. 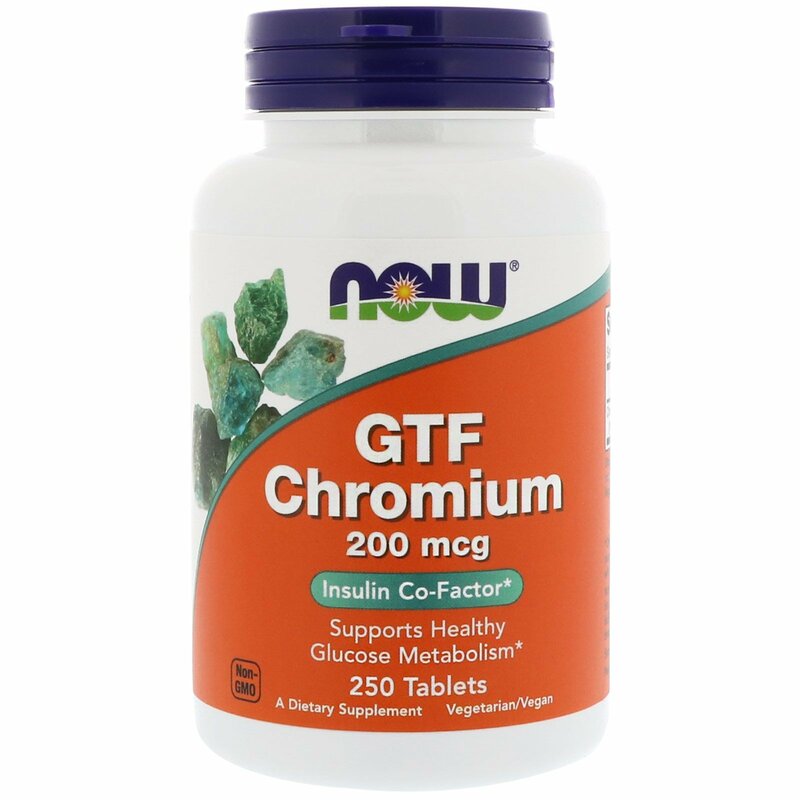 This form of Chromium is also known as "Glucose Tolerance Factor" (GTF) because it is most similar to the form that was originally isolated from a food source. 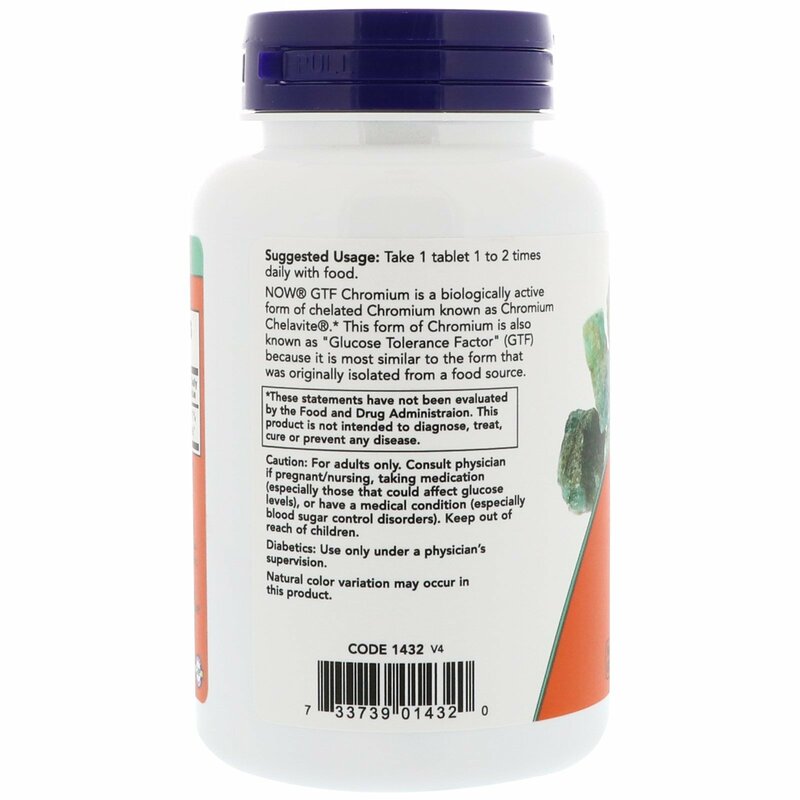 Cellulose, stearic acid (vegetable source), magnesium stearate (vegetable source) and vegetable coating. Caution: For adults only. Consult physician if pregnant/nursing, taking medication (especially those that could affect glucose levels), or have a medical condition (especially blood sugar control disorders). Keep out of reach of children. Natural color discoloration may occur in this product. 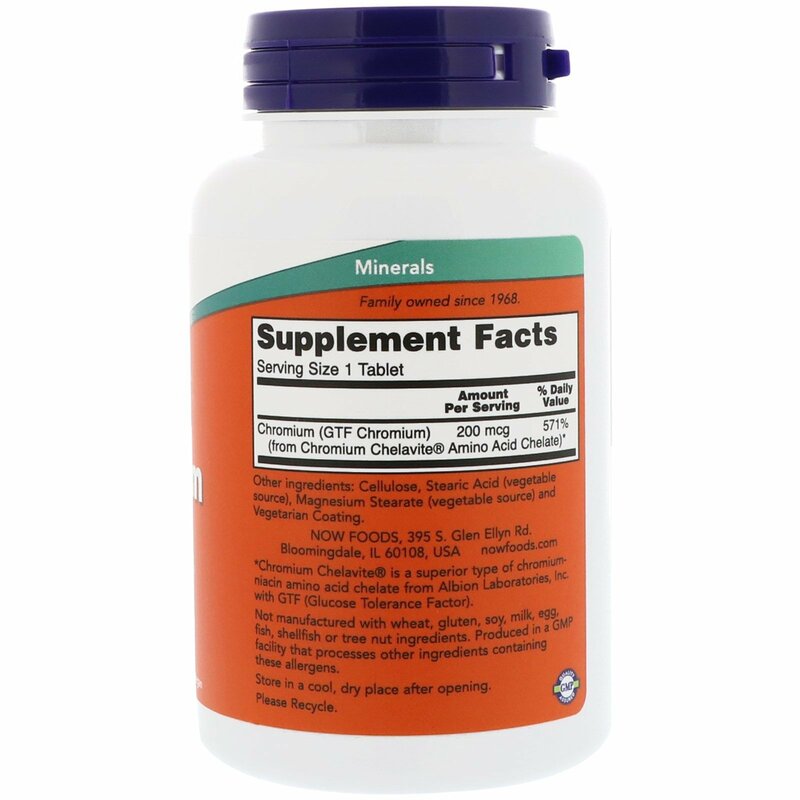 *Chromium Chelavite is a superior type of chromium-niacin amino acid chelate from Albion Laboratories, Inc with GTF (Glucose Tolerance Factor).